August is almost upon us, and every Edinburgh resident knows what that means. MADNESS IS ABOUT TO DESCEND. But also gigs. Lots of them. There’ll be poems from the brilliant Theresa Munoz, Colin McGuire and Laura Rae — one other feature TBC! You might get the odd poem out of Dom and I, too. 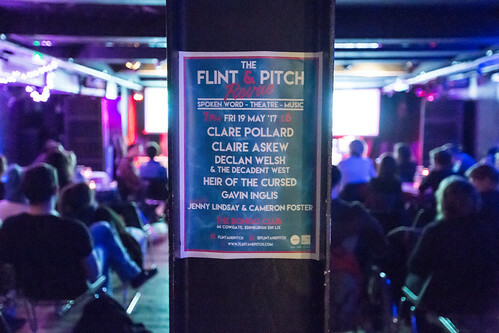 AND, there are five open mic slots up for grabs, which YOU could read in if you email claire@onenightstanzas.com and ask me to put your name in the hat! “London’s favourite feminist arts night”, says the Facebook event, “bringing you a night of the best women in spoken word, mixed in with some music and comedy. There are new features every night and you can give us your best growl with the all-inclusive open mic!” I’ll be one of three feature readers at this — the others are Katie Pritchard and Beth Hunt. I’m also hoping to be sharing the stage with some pals as part of the open mic! Come along! So, yaknow I helped the lovely Russell Jones to edit that wee book of Edinburgh poems and stories, Umbrellas of Edinburgh, recently? Well we’ve only gone and bagged ourselves a Book Festival event! Come along and hear Russell and I introduce work by the geniuses that are Harry Giles, Jane Yolen, Finola Scott and Marjorie Lotfi Gill. There’ll also be poems by Russell and I that have been specially commissioned for the event! This one’s also ticketed but you get six — SIX — writers for the price of one event! I’m chairing this one, but I’m counting it as a gig because I am super excited and also SUPER NERVOUS about doing it! These two poets are very different, but both of them make mind-blowing work that is complex, experimental, political and brilliant. This one is well worth every one of the shiny pounds of its ticket price… come and ask smart questions in the Q&A, and I shall field them! My second go at this fine feminist night… again, I will be one of three features! The other two are Katie Pritchard and Kathryn O’Driscoll. There’s also that open mic, if you fancy coming and sharing a stage with yours truly! I am really excited to be reading as a feature at this bloody amazing women’s spoken word night, run by none other than fellow #GrrrlCon organiser and all-round magical goddess Jane Bradley! I get to appear alongside Rosie Freakin’ Garland!!! And also my lovely lovely pal Sasha de Buyl — trust me, you do NOT want to miss a very rare appearance by Sasha! That’s What She Said is doing a whole run, and every single night looks absolutely golden. It’s at a great time of day as well… come along before you head to your evening shows! YES, I AM CHAIRING AN EVENT WITH PAUL MULDOON. YES, THAT PAUL MULDOON. Obviously come along to this one because it’s PAUL FREAKING MULDOON. But also, come along and make supportive faces at me so I can at least attempt to form sentences in the presence of this man? The event is, after all, free — and you get coffee! Please come along to these events, friends! But mainly come to this one. Seriously. So… he’s appeared in so many One Night Stanzas posts over the years that — if you visit this site even vaguely regularly — you must know by now. I AM A HUGE GEORGE WATSKY FANGIRL. I’ve thought his poems were awesome since his Def Poetry Jam appearance in 2007. I’ve listened to his self-titled album on countless bus-rides to work to keep my spirits up. I’ve shown his poetry performances to students in my writing and literature classes, because they always dig his stuff. He’s one of my favourite contemporary poets. One Night Stanzas presents WATSKY x 2: an evening of spoken word with George Watsky, Paul Watsky and special guests. One Night Stanzas is proud to present an evening of spoken word starring two very different, very exciting poetic talents from the USA. This is an exclusive, one-off event to mark the end of George Watsky’s multiple-city summer tour. This is the first time that WATSKY x 2 have performed in Scotland and it is their only Scottish tour date. Come along and enjoy an explosion of spoken word in the beautiful “vaulted dining room” at Henderson’s at St John’s. George Watsky is a rapper, writer and performer from San Francisco now living in Los Angeles. He won the Brave New Voices National Poetry Slam in 2006 and appeared on the final season of Russell Simmons Presents Def Poetry in 2007. He has subsequently performed at over 150 universities across the country. Rapping all the while under the name ‘Watsky,’ George self-released the barely-heard jazz-hip hop record ‘Invisible Inc’ in 2007 and the self-titled ‘Watsky’ in 2010, which peaked at #7 on the iTunes hip hop charts. In January 2011 George’s fast rapping went viral and led to two appearances on the Ellen Show, a slot on Last Call with Carson Daly, and an exploding online profile. George has performed at the Just for Laughs festival in Montreal, the NAACP Image Awards on FOX, three times at the Kennedy Center in Washington, DC, and has been featured in XXL, Billboard Magazine, and the New York Times Magazine. Find out more about George at his website. 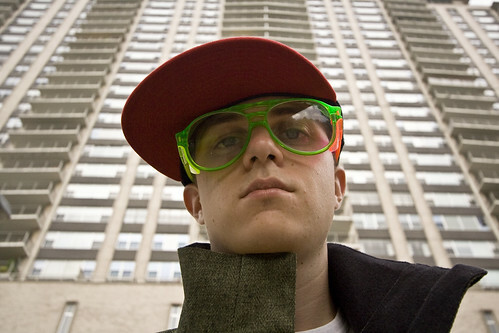 Paul Watsky lives in San Francisco, and earns his living as a clinical psychologist. He began writing poetry while he was a teenager, and his work has been widely published in literary journals over the past eight years. In 1996 and again in 1997 he was awarded Second Place in the Haiku Society of America’s Gerald Brady competition. Paul published a full length book, entitled Telling The Difference, in 2010 (Fisher King Press, available through Amazon UK), and in 2006 he was co-translator with Emiko Miyashita of Santoka a collection of work by the well-known 20th century haiku poet (PIE Books, Tokyo). He has a couple of poems in the current issue of The Carolina Quarterly, and online in The Puritan, which is published out of Toronto. Find out more about Paul at his website. This event will also feature special guests — details TBC. Henderson’s at St John’s is a fully licensed vegetarian and vegan cafe, and is open until 1am.